We are pleased to co-present “Domestic Cinema” at the Images Festival. Artistic Director Steffanie Ling writes that the ongoing discourse of Domestic Cinema springs from Gabi Dao’s film The Protagonists. Examining the relationships that can be created through moving digital images and incorporated sound produced in close proximity to our homes, Domestic Cinema counters the dramatization of the home as a site of nostalgia and psychoanalysis, in the lives of marginalized or diasporic demographics. Instead, this program presents the domestic as a playground for identities to flourish, blush, retreat, or trumpet. Storm, a graceful and gesticulating woman. Lightning, she who espouses cool riddle speak. A conversation suspended between mythology and girl talk proceeds in the sky. 5H1 is the shipping code for woven plastic bags without inner lining or coating. Three large plastic aliens wiggle and morph to perform a ballet of erratic movements in various public spaces throughout Montreal. A bejewelled and ornamentally manicured robotic hand flinches. Vibrant plumes of smoke hover between vegetable garden and greenhouse. Incense burns. Aloe, sliced. Such motifs cast before us to interrogate cinematic history and movement as nostalgia machines fuelling the emotion of diaspora narratives. Namdeo has learned to live off the forest from his father. He stares at the treetops, searching for honey. The wind blows and afternoon descends on the small village by the jungle. Women of the village whisper little secrets of their lost loves. The sweet and controlled banter between the family, friends, and lovers of a Los Angeles teen. Love and friendship are quietly discussed, or knowingly intimated in the bonds we witness during ritual and hang-out. A diaristic interpretation of Wu Xing, a Chinese system of energies roughly meaning, “five kinds of qi prevailing at different times.” Two nameless, unidentified characters explore phantasmagoric interiors and exteriors, activating a loose story that visually emphasizes colour, composition, effects, lighting, and mood. Dana Claxton is a Hunkpapa Lakota filmmaker, photographer, and performance artist. Her work looks at stereotypes, historical context, and gender studies of Indigenous peoples of the Americas, specifically those of the First Nations. In 2007, she was awarded an Eiteljorg Fellowship for Native American Fine Art. Maria Paz Ramirez Larrain is an audiovisual artist from Santiago, Chile and Laura Acosta is a performance and textile artist from Bogota, Colombia. Both artists currently reside in Montreal, Canada, and draw from their experiences as immigrant women of colour to question how different individuals claim space. Gabi Dao creates sculpture, installation, sound works and video. She co-publishes the weekly radio show Artspeak Radio Digest on 100.5FM and organizes exhibitions and events at the project space Duplex on the unceded Coast Salish territories of the Musqueam, Squamish and Tsleil-Waututh Nations, also known as Vancouver. Payal Kapadia is a Mumbai based filmmaker and artist. She studied Film Direction at the Film & Television Institute of India. Her earlier work includes Afternoon Clouds (2017), The Last Mango Before the Monsoon and Watermelon, Fish & Half Ghost. She is currently developing her first feature, which was selected for the Three Rivers Residency, Rome. 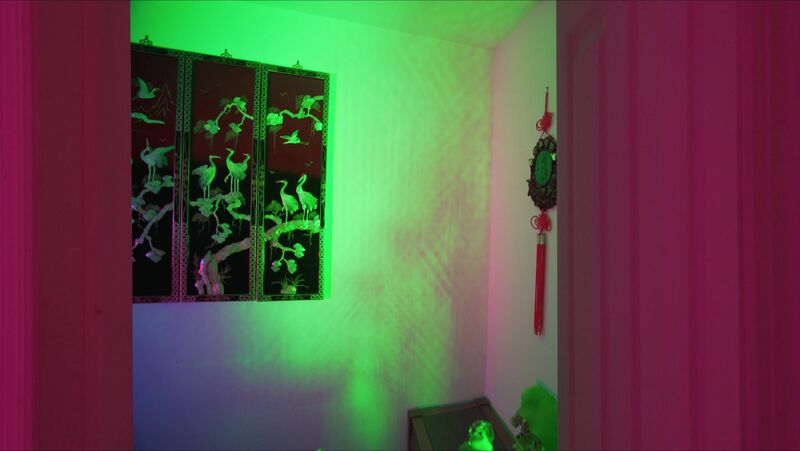 Lily Jue Sheng works across film, video, 2D, performance, and installation. She is based in NYC & NJ. Her work has screened at the Whitney Museum, New York; Museum of Fine Arts, Boston; Musée d’art contemporain de Montréal, Montreal; 1933 Slaughterhouse and West Bund Art & Design Fair, Shanghai.